Having set the world’s largest flower arrangement as well as the world’s largest environment sustainability lesson, it was only a matter of time before the UAE breaks another record. 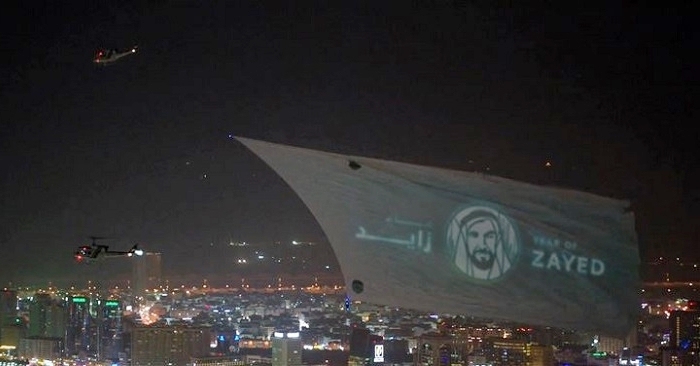 Just recently, the world’s largest aerial projection screen was featured in the Dubai night sky. The new Guinness World Record was made by one of the country’s leading development companies, Wasl Asset Management Group. As part of the Year of Zayed 2018 celebrations, it commemorates the late Sheikh Zayed bin Sultan Al Nahyan, the founding father of the UAE. The UAE has set a new world record! “We are delighted to have celebrated the Year of Zayed 2018 in a memorable and ambitious way that captures the late Founding Father’s pioneering spirit and strengthens Dubai’s reputation as a leader in achieving world firsts,” stated Hesham Al Qassim, CEO of Wasl Asset Management Group’s CEO. 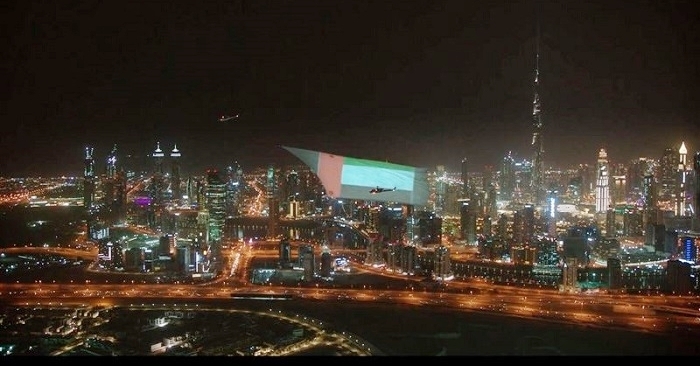 The world’s largest aerial projection screen flew over Dubai. The aerial screen measured 300-feet, breaking the previous world record, a 250-foot screen in New York City. A video was presented on the aerial screen through live projection mapping and augmented reality tracking. Two helicopters projected the screen over the city, starting from Skydive Dubai — hovering above Dubai Coast, Zabeel Park, wasl1 (latest project of Wasl), Dubai Creek — then back again to Skydive Dubai. The flight lasted for about 90 minutes. The screen displayed a short film about the “Year of Zayed 2018,” showcasing the legacy and values imparted by the UAE’s founding father, the late Sheikh Zayed. The screen featured a video about the late Sheikh Zayed, founding father of the UAE. “Dubai has set the stage for numerous record-breaking successes over the years and we are delighted to be part of the celebrations of another new Guinness World Records title by Wasl Asset Management Group,” declared Talal Omar, Country Manager of Guinness World Records MENA. “It’s always great to see how the UAE celebrates its nation’s pride through continuous record-breaking events, and this initiative definitely stands out,” he commented. 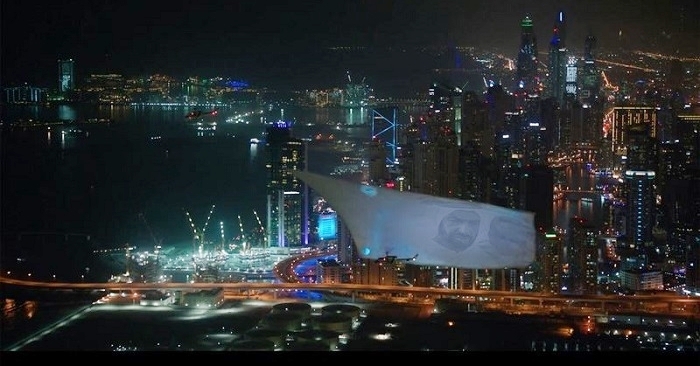 ‎⁦‪#LookUp‬⁩ at the sky tonight and you’ll see us break the Guinness World Record for the world’s largest flying screen as a tribute to the ⁦‪#YearofZayed‬⁩! ‎⁧‫ #انظر_للأعلى الليلة لتشهد تسجيلنا رقماً قياسياً عالمياً من خلال أكبر شاشة طائرة في العالم إحتفاءً بمبادرة ⁧‫#عام_زايد‬⁩! Without a doubt, this latest world record delighted lots of people who looked up to see the amazing presentation in the Dubai night sky. We can’t wait to see what comes next! 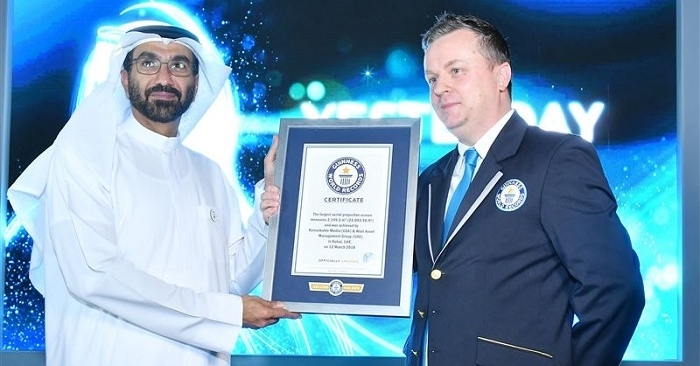 In the meantime, check out these Guinness World Records made in the UAE last year.